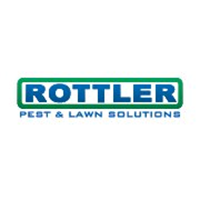 At Rottler, our goal is to be known for superior service and a steadfast commitment to exceeding our clients’ needs and expectations. In pursuit of this goal, we have grown to be one of the Top 100 pest management firms in the Nation and are the largest privately-owned pest management firm in Missouri. We’ve been able to achieve this reputation as an organization not only by utilizing the latest environmentally proven technologies, but with the help of our diverse team of committed and dependable associates who carry on the family-owned, personal service approach we believe in. We are very satisfied with our Rottler service. Our service technician is very accommodating of our work schedules. He always checks with us that the treatment is working and goes out of his way to treat as soon as possible when a new problem arises. In addition, our technician is always friendly and courteous. Jenn was excellent to work with. She had a very long drive and was still in a great mood as was the dog. This company is amazing and Jace is so easy to work with. He is very thorough and takes time to explain things! Dalton Duncan is my Hero. Great and friendly employees would and will recommend your business to friends and and family. Very good service. Technician was very knowledgeable, fast and efficient. Very happy with Rattler. They ask you for your needs and are very thorough. Their goal is to make you a satisfied and retiring customer, with a downhome feel. Billy is always so nice with scheduling and taking care of our home. Austin is great! He's always on top of the problem and very knowledgeable about what's going on and how to fix it. The technicians that I have worked with are very professional and friendly. They are punctual and accurate in their diagnosis and treatment. A pleasure to work with.